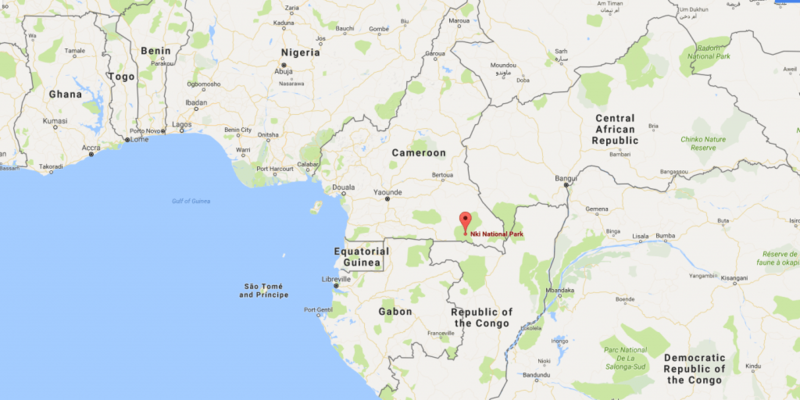 There is a growing network of logging roads in Cameroon’s eastern region, particularly along national parks and forest reserves. A bigger web of new logging roads is also widening into formally intact forests in the north of the Congo Republic which shares a common frontier with Cameroon’s Eastern region. Most of these roads are less than five years old while others are not more than a year old, according to satellite data from the Global Forest Watch (GFW). The roads which are primarily constructed to facilitate transportation of wood, pose several threats to biodiversity. The biggest logging-related threat to biodiversity is bushmeat hunting, which is almost impossible to regulate. 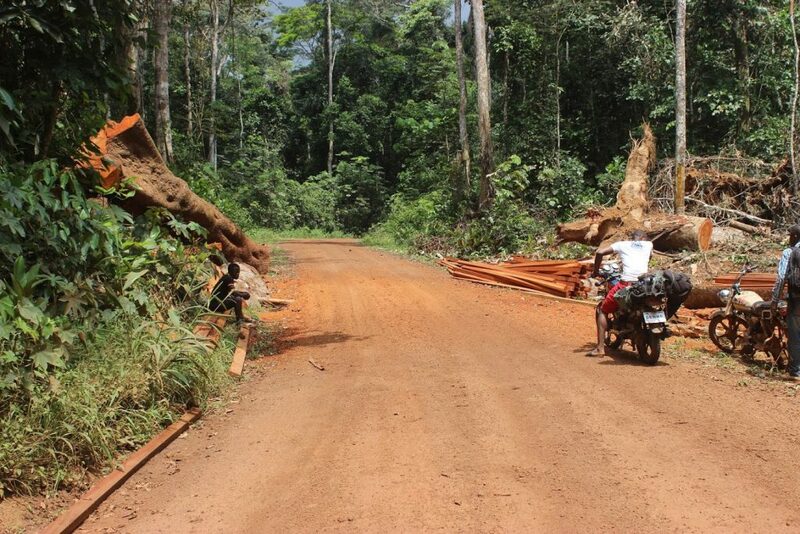 Logging roads at the heart of the tropical forest has direct impacts on rainforest ecology. They impede streams, increase forest flooding, soil erosion, discharge chemical and nutrient pollutants into local waterways and provide avenues of invasion for many disturbance-loving exotic species. 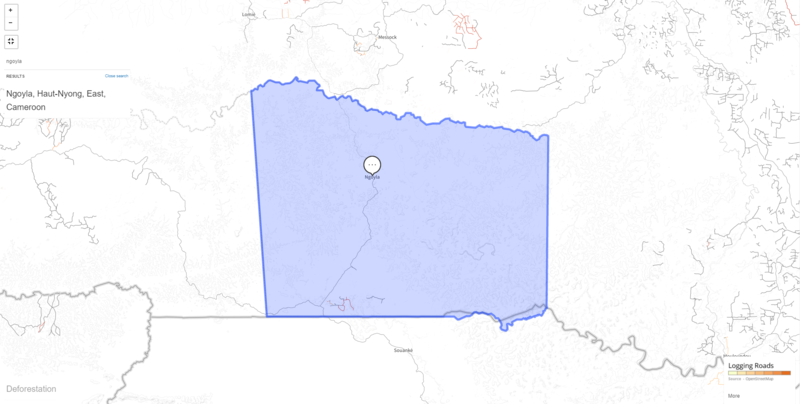 Ngoyla is a village located in the East Region of Cameroon. It harbors a critical primary rainforest block of about 988,000 ha known as the Ngoyla-Mintom forest. 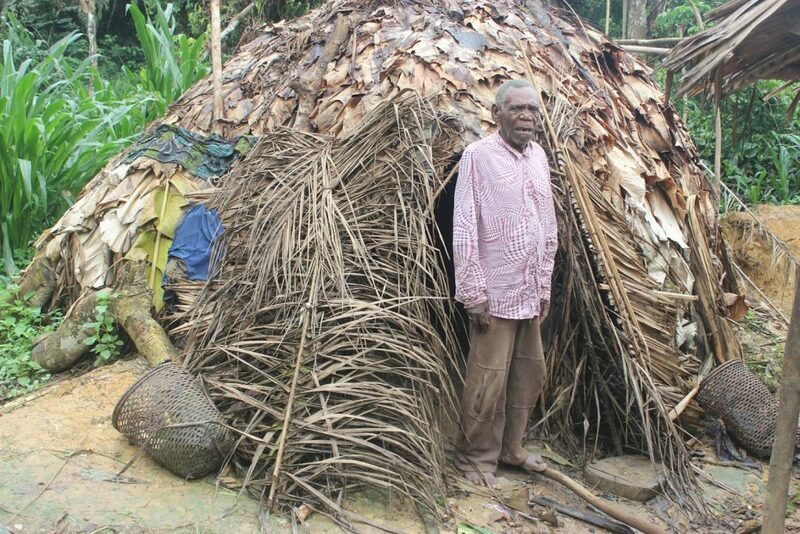 About 1000 Baka, Bakoya Pygmies, and many other Bantu tribes leave in Ngolya. Ngoyla is a village located in the East Region of Cameroon. 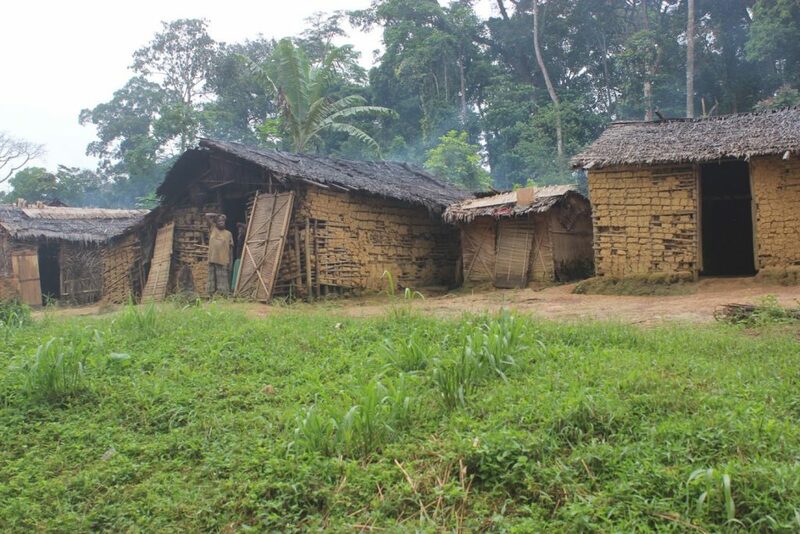 This community of about 1000 Baka, Bakoya Pygmies, and many other Bantu tribes harbors a critical primary rainforest block of about 988,000 ha known as the Ngoyla-Mintom forest. It is located between the Dja Faunal Reserve and the Nki National Park in Cameroon, the Odzala National Park in Congo, and the Minkebe National Park in Gabon. 500 thousand hectares of this formerly virgin forest is now allocated for industrial logging. 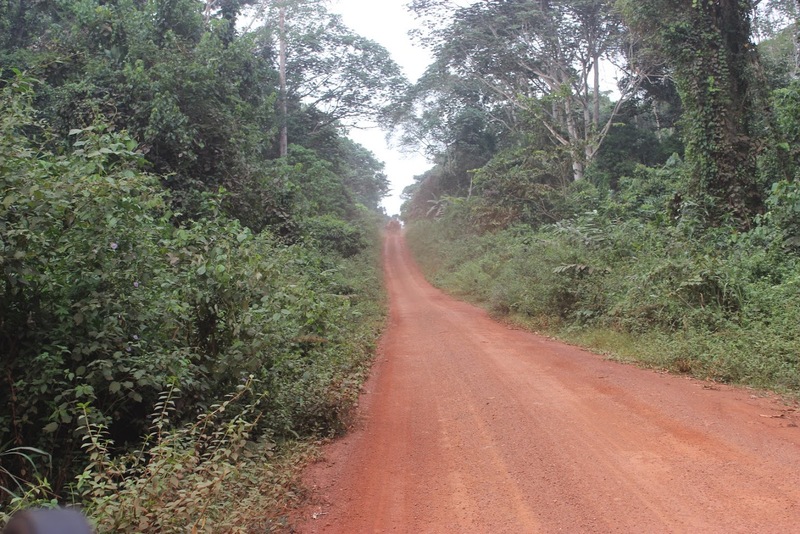 The authorized companies are licensed to build roads to facilitate transportation of timber. Nki National Park Conservator, Jean Siroma says the park has lost 58 percent of its elephants and the loss of other protected animal species are yet to be determined because of the new roads constructed by logging companies. “Road construction does not only promote poaching but also makes monitoring harder,” says Siroma. This expert in wildlife and protected areas management says before the roads were built, poachers had to work very hard to get bush meat or trophies out of the forest. Fabrice Yelem Ataef, an eco-guard in Ngoyla says no new measures have been put in place to improve monitoring. Road construction does not only promote poaching but also makes monitoring harder. According to Yelem, future tourist to Ngoyla and the Nki national park may only see carcasses due to the excess pressure on wildlife by poachers. “These logging companies will not let you into logging concessions. Some of them harbor camps where animals are skinned and roasted. I know the locations,” says Yelem while leading our team of reporters to Gracovir, one of the logging companies’ operation in the region. Gracovir coordinator refused to comment saying he had instructions not to talk to the press. 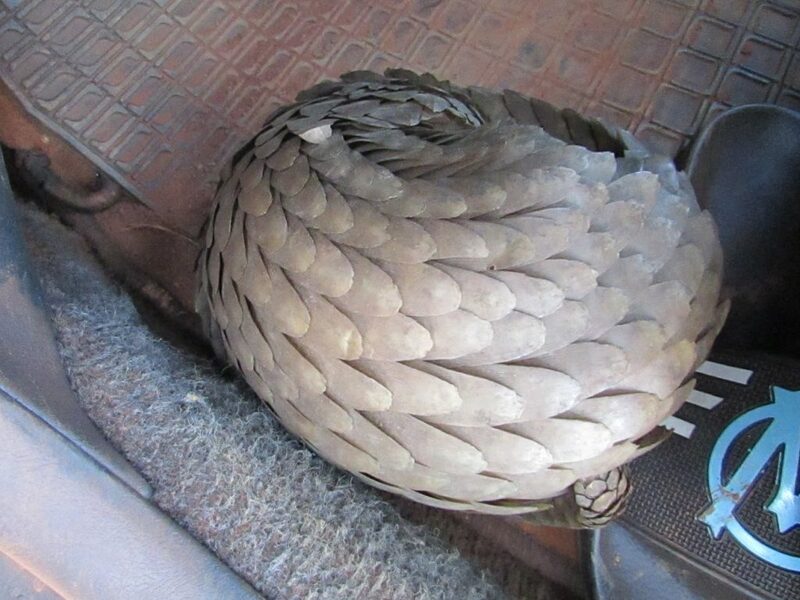 Nki National Park officials raided Gracovir logging camp on December 22, 2015, and seized 400kg of bush meat, of which 58kg was of the Giant Pangolin. Another camp has since been created closer to the Ngolya government building. 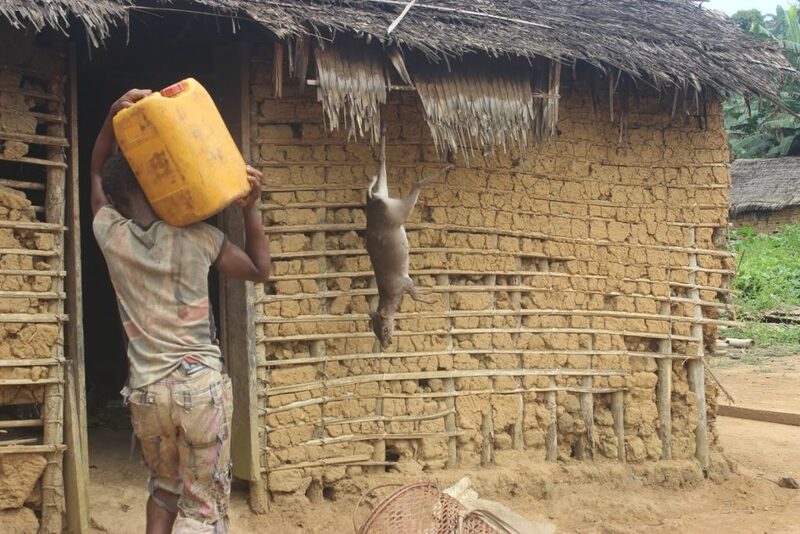 The people of Ngoyla live primarily on bush meat. “When I conduct, my routine controls including in local restaurants, I look out to see if the meat was killed with firearms or wire snares,” says Nki National Park Officials. The people of Ngoyla live primarily on bush meat. SIM’s Chief Radiologist, Jean Blaise Ella Onana who was mandated to talk to InfoCongo, admitted that some of the company’s employees were involved in poaching. “We sacked two of them recently and had sanctioned several others.” On how the employees facilitate poaching, Onana said, while wood falling deep in the forest, they mark animal’s abode and later return there at night with other poachers on motorbikes. 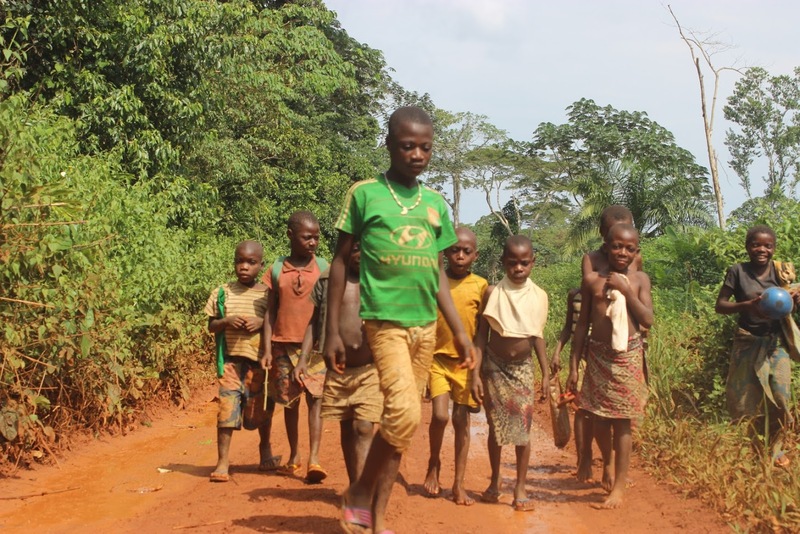 “We do not need these roads, as we do not see any benefits to our community other than to the logging companies and poachers,” spokesperson for Baka Pygmies. Roads can be incredibly helpful to the local community as they facilitate transportation of agriculture products to the market. But to the Baka people who have experienced a widening of this road network for no real return, logging roads are not needed. “We are not happy with the logging taking place in Ngoyla,” said the spokesperson of the Baka pigmies, Daniel Mengango. “We do not need these roads, as we do not see any benefits to our community other than to the logging companies and poachers,” says Mengango as he puffs out smoke from his pipe. Nki National Park officials agree with the sorry plight of the local population. A local civil society organization, the Agroforestry Cooperative of the Tri-national, known by its French-language acronym, CAFT, also argued that the companies are not doing anything at all to help villagers. “The logging companies are not fulfilling any of their corporate social responsibilities of providing school, water, hospitals, and electricity, yet the government is doing nothing. State and municipal officials connive with these companies to fill their pockets. The current mayor is building hotels in Kribi. Nobody cares about the community. Ask the youth whether the companies employ them,” lamented Andre Pa’ah. One of Ngoyla former Mayor, Alphones Bamlolo also regretted the construction of logging roads and the exploitation of forests in Ngoyla. But the government preferred another approach. These logging companies are not into anything sustainable. The roads in the forests are better than the one in our town and those linking our villages. It’s sad, but there is nothing we can do,” said the former Mayor. These logging companies are not into anything sustainable, former Mayor of Ngolya. The former Mayor also said the revenues due to the local community in return for the harvesting of their forest is missing. 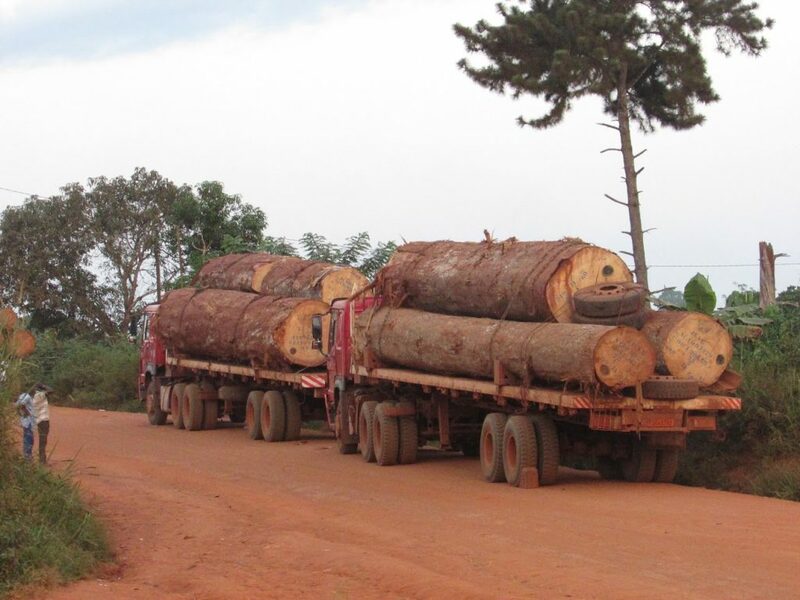 “Logging companies pay royalties into the state treasury,” says the First Deputy Mayor of Ngolya, Marcel Dupont Mewol, who runs the council in the absence of the Mayor who resides full time the Nation’s capital, Yaounde. On how helpful royalties had benefitted the community, Mewol rather enumerated projects executed with funds from community forests exploitation. He said equipment had been bought for the electrification of the municipality with Solar energy, creation of a community radio station, digging of boreholes to provide water to the community among other things. Cameroon and Congo do not know how to control their forests. “Cameroon and Congo do not know how to control their forests. They give out forest concessions and let logging companies tell them how many trees and wildlife are found therein,” says civil society activist, Patrice Andre Pa’ah. “These companies are fraudsters. Have you ever asked yourself why the quantity of wood declared at the Douala seaport is always lower than that what the importers declare in Amsterdam and other seaports abroad?” asked Pa’ah. Ngolya is located between the Dja Faunal Reserve and the Nki National Park in Cameroon, the Odzala National Park in Congo, and the Minkebe National Park in Gabon. “Companies sell some of the wood in the local market illegally. Forget about geo-referencing and all those cosmetic control mechanisms. The Central African Republic (CAR) government counts its woods in logging concessions,” he said. To officials of the Nki National Park, they are making considerable control efforts and reigning in on poachers. Conservator, Siroma said 647 firearms captured from poachers were destroyed in January 2016 while 57 others have been seized so far, this year. He says two of his eco-guards were jailed for helping an ivory trafficker from Congo get to Yaounde. “Poachers in Cameroon have smaller weapons while Congolese soldiers have sophisticated war guns. Poaching is more rampant along the Cameroon-Congo border where mining projects folded up, and the people are itchy for other ways of making fast money,” Siroma said. There are very few eco-guards in both countries, which makes it difficult for them to control poaching in their national parks and forests efficiently. Hundreds of kilometers away from Ngolya, on the other side of the Congolese border, is located Souanké. This city of several thousand people is the capital of Souanké District in the Sangha Region of the northwestern Republic of the Congo. “These companies are fraudsters. Have you ever asked yourself why the quantity of wood declared at the Douala seaport is always lower than that what the importers declare in Amsterdam and other seaports abroad?” local civil society activist. In a bid to halt rampant illegal poaching activities, the government is working in collaboration with logging companies. 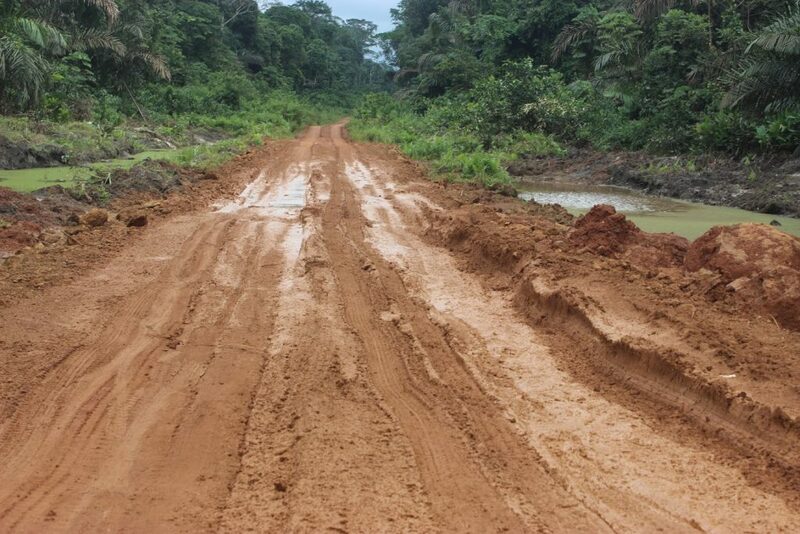 Congolese Wildlife and Protected Areas Agency Chief Gaurd for Souanké, Jospin Mbessa Picko, said Yuan Dong Woods Industry Co.Ltd, Congo (SEFYD), a Chinese company established in the Congo in 2005 is creating a web of new roads in Northern Congo. “When they came here, they seemed to know nothing about conservation. We caught employees of the company transporting poachers deep into the forests. They left the new logging roads unguarded, and poachers were using them. Their logging was a threat,” said Picko. He said because of the new logging roads; they now carry out checks in the forests and national park in Souanké, thrice a week as opposed to once before. “The Nouabale-Ndoki National Park is too big for us to have forest guards present at every part of it at all times. Poachers master the areas where elephants go to eat and drink water. These are the places they attack more often, so we also focus on the same places,” he said. Picko, however, added that SEFYD had signed an agreement with the Congolese Ministry of Forest Economy, Sustainable Development, and Environment which obliges the Chinese logging company to pay cash bonuses to guards carrying out extra patrols in the Souanke forests. “They have started paying our guards bonuses and have set up a grocery store in Souanké though it is still empty. They have also signed an undertaking to be responsible for every game found in logging trucks. They have also stationed guards and barred motorbikes.